Following a 10-year hiatus, Eighteen Visions returned to the world of rock and metal this year with sixth album XVIII. Having been a mainstay of the initial early noughties metalcore boom, the Orange County bruisers are back, still helmed by James Hart. But outside of 18V (and his other band Burn Halo), what music pushes James’ buttons? Here we talk to the frontman about his love of Alice In Chains, Quicksand and.. errm.. Kylie Minogue. 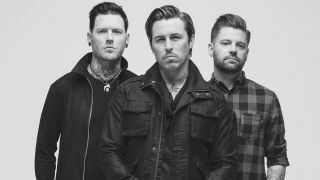 Eighteen Visions new album XVIII is out now, via Rise Records.